Did you know that every time you search the web from your mobile device, you could be raising funds for LionAid? 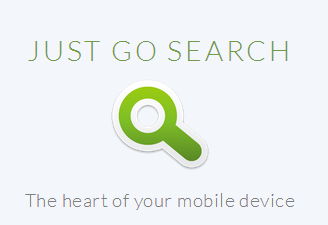 JustGoSearch has partnered with Yahoo! so that they can direct some of the online advertising revenue they generate, into LionAid, if we are chosen as the designated charity. Every time you use your mobile device to search the Internet, you could be raising funds for us! All you need to do is bookmark LionAid’s search box to the home screen of your mobile device and use it to search the web as you normally do. And because this is just a bookmark, and not another app, you still get full access to your mobile phones web browser. Click this link from your mobile phone, tablet, desktop and laptop and follow the simple instructions. 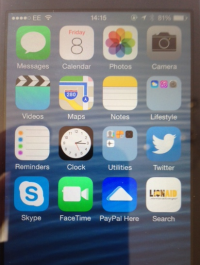 When it’s bookmarked, you get a cool LionAid logo icon on your home screen! (see bottom right of the picture on the left). Just click it every time you want to browse the Internet. Every search generates money for LionAid’s work to save our remaining fragile lion populations. In honour of World Lion Day, we are trying to get 100 new users by midnight on the 10th August. So c’mon click this link today and help lions by becoming a user. THANK YOU!